I’m 41 years old and I’m doing fairly well as far as wrinkles and decent looking skin goes. This is especially true considering that when I do use face wash it comes from Dollar General or a bar of soap. Honestly, it’s just not something I put much thought or effort into everyday. But, I started to become a little bothered over the last couple years that my chest area was making me look older than 41! 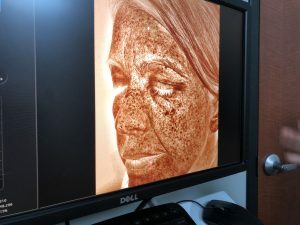 All those years of outdoor swim team and lifeguarding, beach vacations, running outside, and just being in the sun from day to day without enough sunblock are responsible for my now visible signs of skin aging, including bumps and discoloration. I also started developing those deep wrinkles – I call them “eye crinkles” – between my eyebrows. Too many years of making the “are you stupid” face at people, I guess! (Just ask my husband. He hates that face.) Bottom line — I couldn’t hide from years of abusing my skin any longer. 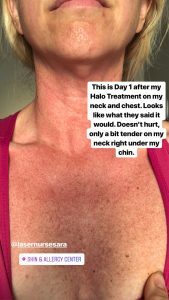 That’s why I jumped at the opportunity to try out a HALO Laser Treatment and a Botox injection at the Skin and Allery Center in Middle Tennessee. If there was a way to make myself look a little younger, I was ready and willing to give it a shot. Jeana explained the benefits of Halo are that you can custom tailor the strength of the laser, the coverage, and the density depending on your needs. She also said I would see results in 1-2 treatments as opposed to 3-5 traditional resurfacing treatments. She assured me that the treatment would not cause much pain other than a little discomfort similar to light needle pricks and a little heat. 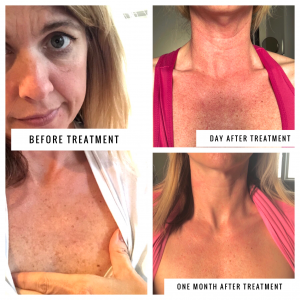 She said after the treatment my skin would become very red and hot like I had a sunburn from being on the beach too long. This would only last a few hours and the pain could be alleviated with a cold water spray and frozen washcloth. The days following the treatment my skin would be red and blotchy, but I would eventually start peeling. After that, new, refreshed skin would start to appear! 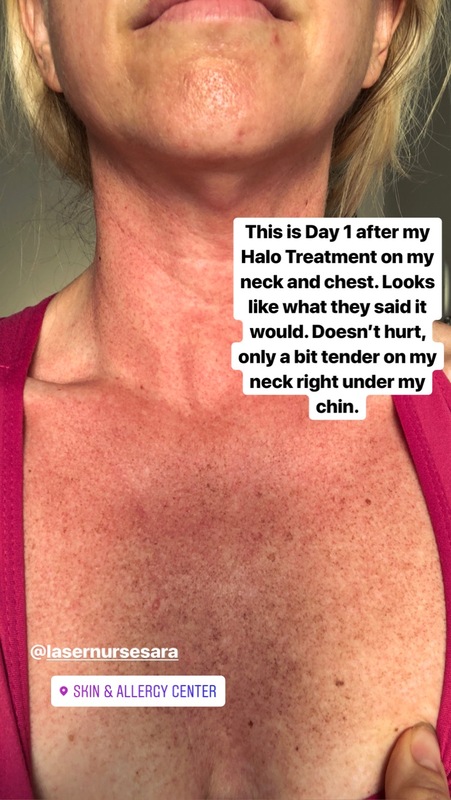 I felt very assured by Jeana’s thorough consultation so I decided to set an appointment for the HALO treatment. The photo above shows the pigmentation of my skin and the darker areas are where it’s the most heavily pigmented. That makes me want to go running to the nearer bottle of sunscreen! My “TruSkin age” ended up being 44, so I wasn’t TOO far from my actual age. Those photos struck a nerve though, for sure. After the photos, I had to let the numbing cream take effect for another 40 minutes. During this time I of course managed to get it on my forehead and the side of my mouth and couldn’t feel half my face. Never a dull moment! Sara then took me to the treatment room and gave me big, silly protective glasses before she began the treatment. It didn’t really hurt at all other than just feeling a little heat. In fact, the crackling sound of the laser was more unsettling than the actual application. After the HALO treatment was completed, Sara gave me three shots of Botox (15 units) in the deep lines between my eyebrows. 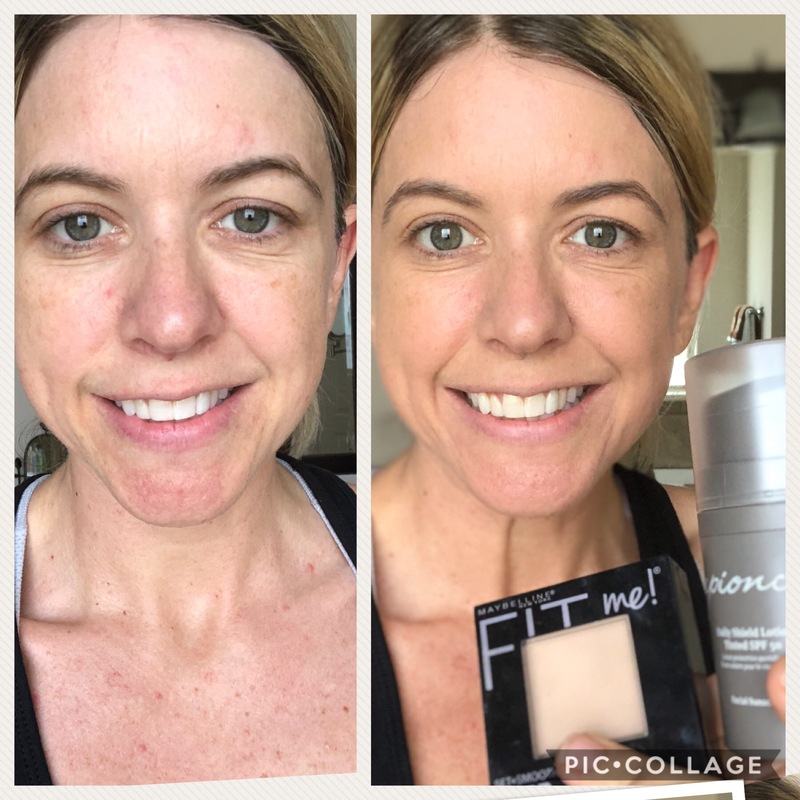 She also gave me a ton of samples for Epionce products including a great tinted sunscreen as well as a water spray to help relieve the burning from the treatment. And, burn it did! My chest and neck was on fire on the way home! I sprayed nearly the whole can of water on my chest and neck. Like Jeana had warned me, it was very similar to having a bad sunburn but only lasted a couple hours. I am amazed at the glow. I still have freckles, but my skin is much brighter and healthier looking. 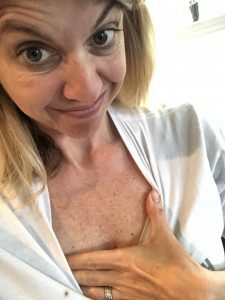 It also got rid of nearly all the bumps that covered the center of my chest and the half circle around my outer neck (outside the shadow of my chin). 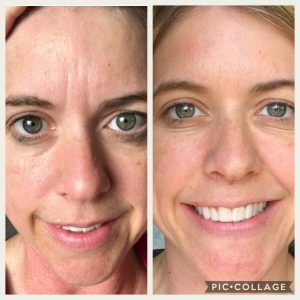 Sara said that I will continue to see the tightening effects with the collagen remodeling over the next several month. Full collagen remodeling can take 3-6 months to peak and can stretch to even a year after treatment. It’s great to hear that I will just continue seeing more glow to my skin as time goes on! And, how about that botox? I’m totally pleased with the botox injections! I didn’t think 15 units was going to be enough, but Sara did a wonderful job injecting and the amount of units used still allowed some movement in that area. It’s a very natural effect and I love it! 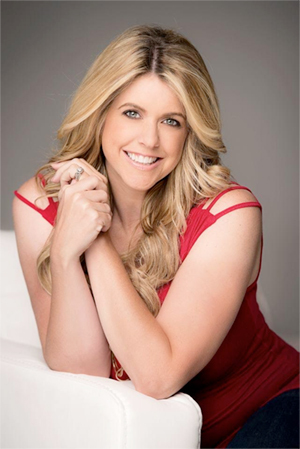 I had a photo shoot about a week and a half after the injection and I didn’t have to have my face retouched in the photos at all. That was something to smile about! If you are interested in rejuvenating your skin, Sara and Jeana at the Skin and Allergy Center are just a phone call away! 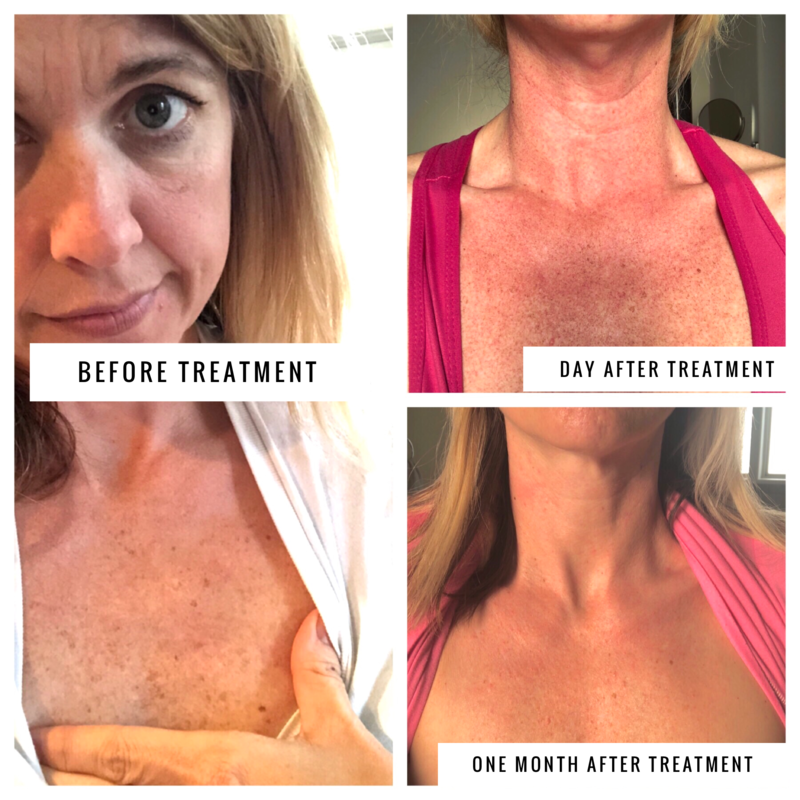 If you are interested in trying the Halo laser treatment or you wish to learn a little more about the process, schedule your initial consultation with the team at the Skin & Allergy Center in Tennessee. You can also follow them on Instagram: Jeana @jeanaelhart and Sara @lasernursesara You have my recommendation that you are in good hands with this team and it will be an investment well worth it! We are proud to be able to offer the Desert Okie Strong t-shirts that we wore to support Chad Trout during his year long fight with Stage 4 Pancreatic Cancer. 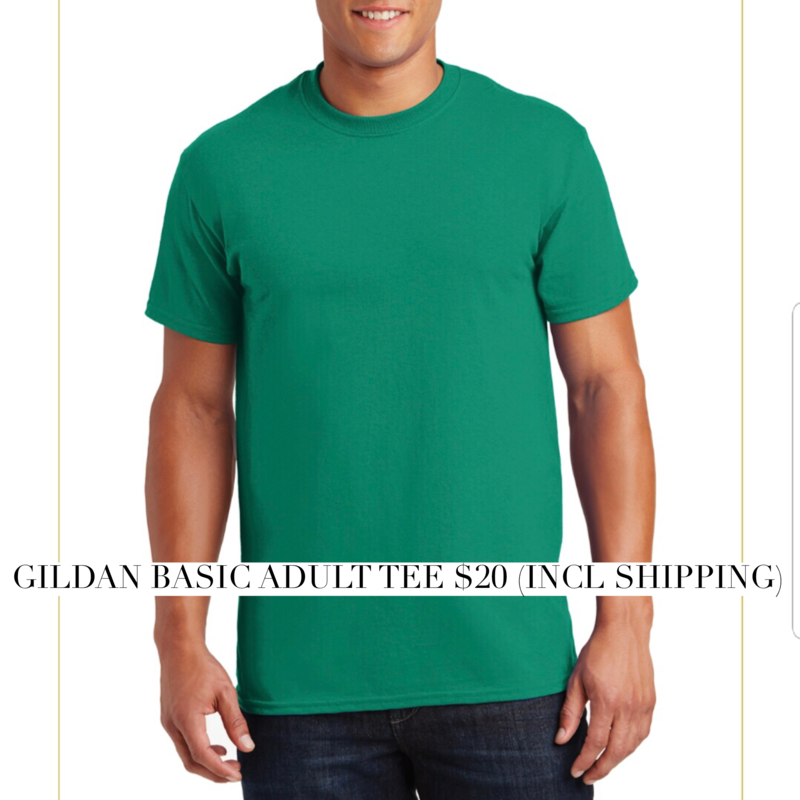 Chad loved these shirts that his Aunt Sharon Bledsoe Foster had designed for him, and many people have asked about purchasing them after seeing the family wearing them. Thanks goes to Sharon Bledsoe Foster, Kim Scholwinski of Flip Flop Bling for generously donating the design, Lori Brown for putting together the purchase links and assisting with shipping, and my sister-in-law Wanda Warf of Maverick Ink for assisting us with a limited press. We will be running a pre-order from June 9, 2018 through June 24, 2018. 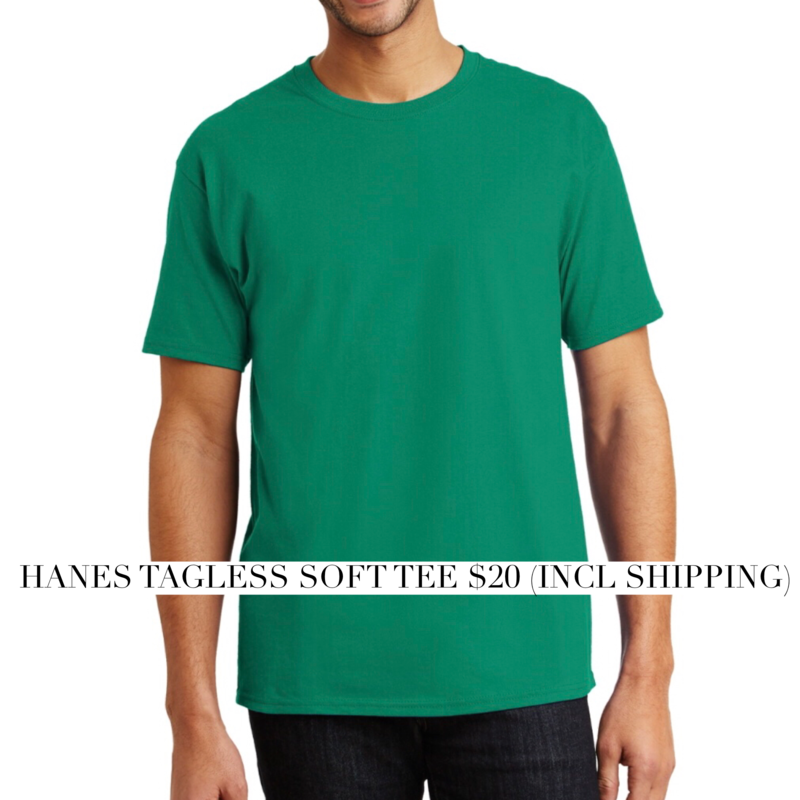 The shirts will be pressed and shipped out during the two weeks following. Our goal is to get the shirts delivered in time to be worn at Chad’s Celebration of Life on July 5th (public celebration) and 7th (private celebration). 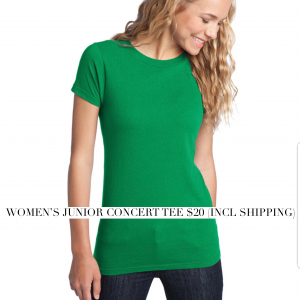 We are able to offer three styles and the cost will be $20 including shipping. 2X will be $3 more. Here is the link for purchase. The shirts will show as $15 with a $5 shipping charge added for a total of $20 (except 2X which is $3 more). We are so thankful for all the support for Chad and his family. 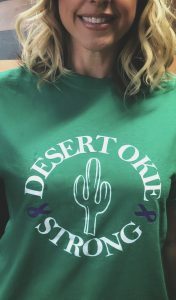 All profit from these shirts will go into the Desert Okie Strong for Chad Trout fund that the family is using for costs related to Chad’s final arrangements.